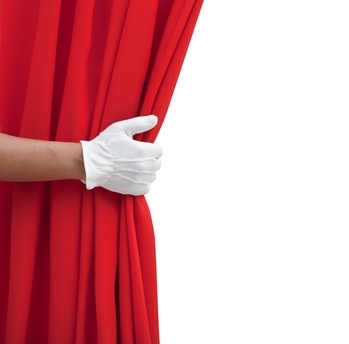 As you peel back the curtain, you’ll see that I’m ready to start rewriting my novel. I’ve got the equipment: a laptop, desk, swivel chair, dictionary, thesaurus. I’ve got a view of the backyard. And I’ve got my manuscript. I’m aware of it sitting there. I’m aware, when I open the box, that it’s going to take a massive amount of effort and huge chunks of time to rewrite what’s inside. So I make a schedule. I schedule time to vacuum and dust and do the laundry and buy groceries and get a haircut and wash the car. I schedule time to tweet and check my emails and write book reviews and practice copywriting. I schedule all of the chores, all of the obligatory writing tasks, so that I can spend weekends focusing solely on my novel. Peas before dessert, right? I’m all about the peas! Oh, I’ve got time. Time for CHORES. This isn’t rewriting. It’s resisting! The magic of five minutes. In his book, Immediate Fiction: A Complete Writing Course, Jerry Cleaver advises the budding novelist to spend five minutes writing every day. Five minutes a day. That’s it! Even if you don’t write during those five minutes, even if you just sit in your swivel chair and gaze out at the squirrels, that’s your five minutes of writing time. It’s sacred. It’s holy. It keeps the brain engaged with the story. So you put in your five minutes, and after the five minutes you get up and you do some drudgery task. Like washing dishes. Or vacuuming. Ideas will come to you when you step away. So…five minutes at the desk, followed by drudgery. And then, before you go to sleep at night, you think about your story. Prime your subconscious to work on it overnight. That sounds reasonable. That sounds doable. So I do it. Five minutes. Every morning. The most important five minutes of the day. And I discover that I can do a surprising amount in those five minutes. My subconscious, aware of the ticking clock, shoots out the good stuff. I’m focused. I’m making progress. And when the timer dings I get up and drink some water and I’m bombarded with ideas. I dash to my chair, set the timer for another five minutes, and keep working. That’s the beauty of it. A short spurt takes the pressure off. There’s no time to dicker over sentences, no time to ponder over word choices. I’m working fast and fixing later. This is something I can handle. I don’t need huge chunks of time. All I need is five precious minutes. And, as Jerry Cleaver says, those chores don’t seem so attractive after you start writing. So…what about you? Got time issues? Immediate Fiction by Jerry Cleaver. You can read my review here. Five-minute writing sessions. Every day. No matter what. My rewriting journey begins here. Love it!!! Sounds like you are on the road to success! Thanks! As long as I stay on the road, working every day, I’ll avoid taking the shortcut to failure. The best advice I’ve read from the pros is to write at the exact same time every day. Just like you go to sleep at the same time every night. In sleep and in writing you’re entering a semi-subconscious level where creativity lives.